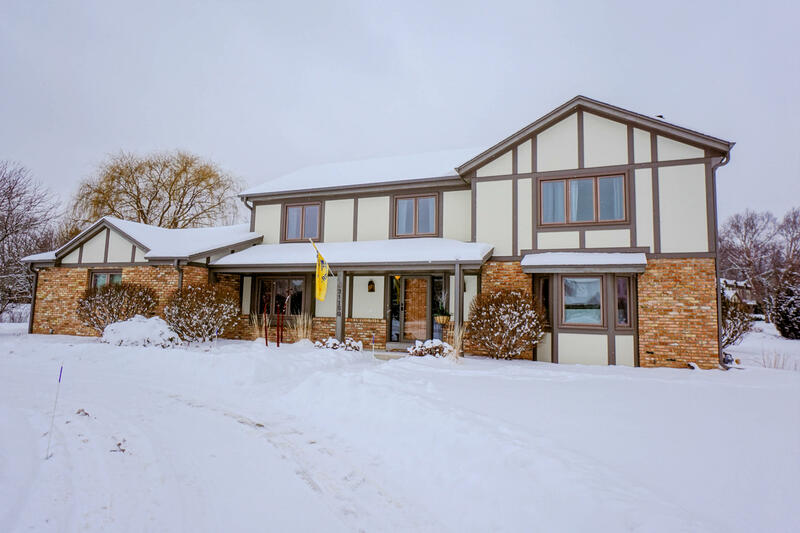 Exceptional 5BR home in a beautiful Cul-de-sac location in Brookfield's Carrington Heights! Spacious interior features many updates and over 3700 sq ft of living space with the finished lower level. Tiled foyer is flanked by formal living and dining rooms. Family room offers stone natural fireplace. French doors separate living room. Kitchen features breakfast bar, large dinette, and SS appliances included. Main floor laundry with washer and dryer included. Option for den or 5th bedroom on main level. Nice size upper bedrooms. Master suite has walk-in closet and renovated master bath featuring tiled shower with glass door. Huge finished lower has wet bar-kitchenette and half bath. Newer windows. Relax on the back yard deck. Huge side yard. Conservancy access off cul-de-sac!